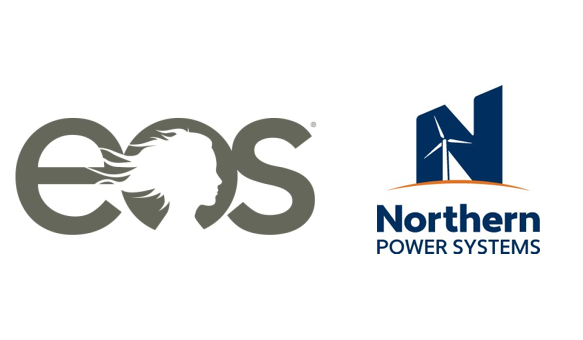 Eos Energy Storage (“Eos”) and Northern Power Systems Corp. have announced a strategic partnership to develop and offer integrated energy storage systems (ESS) for utilities and commercial/industrial customers. The initiative combines the safe, ultra-low cost Eos Aurora DC battery system with Northern Power’s advanced energy storage inverter, controls, and engineering expertise. The suite of integrated solutions provides 4 hours of usable energy using modular 250kW battery building blocks that are scalable for multi-MW applications. 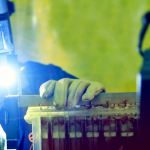 Northern Power and Eos are jointly developing and supplying industry-leading, turnkeyESS solutions offering seamless integration of batteries, power conversion, and controls along with installation and maintenance services as needed. The joint product represents a cost-effective option for utilities who want to provide relief in grid constrained areas, lower capacity payments, defer substation upgrades, and/or better integrate renewable energy. 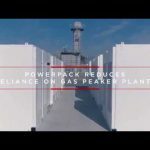 The integrated product is also appropriate for large commercial and industrial facilities looking to lower demand and peak energy charges, or provide resiliency against grid outages. The revolutionary Eos Aurora battery solution is powered by the company’s aqueous, zinc hybrid cathode Znyth technology and offers game-changing cost and performance for a critical segment of the energy storage market. With a volume price of $160/kWh for the DC system and an expected life of 5,000 full depth-of-discharge cycles, the Eos Aurora offers the best-fit solution for multi-hour energy storage applications. Northern Power’s FlexPhaseTM power converter technology leverages a modular, compact,and efficient design that is easy to service. The platform allows for a wide range of DC voltages suitable for a variety of battery types. Northern Power’s proprietaryPowerRouterTM controls allow for seamless transitions between grid and islanded operation, as well as black start capability. The grid-friendly design improves power quality and system stability. Northern Power’s engineering design team is supporting integration of the Eos Aurora DC battery system with Northern Power’s advanced power converters and control software, to deliver a superior performance solution and ease-of-installation in the field. Eos andNorthern Power initiated the partnership by focusing on development and optimization in2016 and plan to deliver fully-integrated products to major utilities in the second quarter of 2017. Eos and Northern Power are attending the DistribuTECH conference together in San Diego,CA from January 31 through February 2. Additional information regarding the integrated battery energy solution will be available at Eos’ booth #1247.